This clever and inspiring story starts set in an American Convent called St. Rose where we're introduced to a young nun named Evangeline. A little put off by the initial religious context of the story, (obviously as it's about angels), I struggled to get through the first part of the book, finding it a little dull. In reading on however, I soon became engrossed in the detailed and well thought out story that started to unfold. 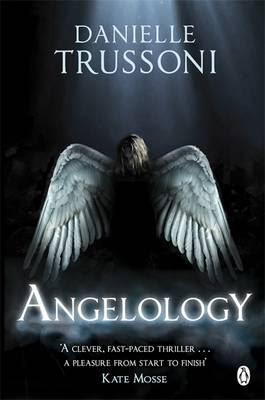 Thrown into a hidden world of Love, mystery and murder, we are introduced to angelology. Although the ideas and creativity behind the concept are spectacularly exciting and unique, I can't help but feel as though the story would have benefited from a little more action and adventure - in total the entire book covered a period of just two days which didn't leave much time for anything really exciting to happen. An overall enticing and charming book with strong characters and storyline - but Trussoni could have done much more with it. It finishes on a slight cliffhanger however...so maybe there will be a second! ?